Litter born 15th January 2014. 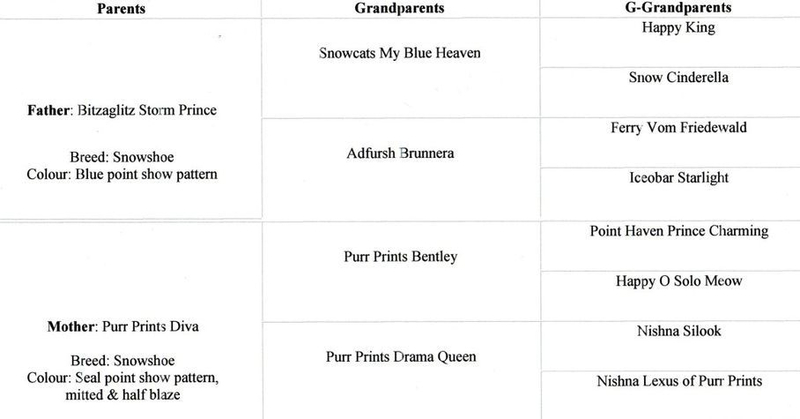 Sire: Bitzaglitz Storm Prince - Dam: Purr Prints Diva. Pedigree of 15th January 2014 litter. Five lovely kittens born 15th January 2014.
now living with Jason & Eduardo in Melbourne. now living with Ian and family in Darwin.